Regarded as the “gate of the Cyclades”, and indirectly connects mainland Greece with the Cyclades and separates the Archipelago from the South Evian Gulf. 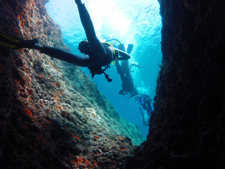 It is the northernmost island of the western Cyclades and the closest island to Attica, located only 16 miles from Lavrio, with which it is connected with daily ferries. Access to Lavrio is easy and feasible, either via Attika Tollway towards Markopoulo, or either via the coastal road Poseidonos Avenue and Athens-Sounion Avenue. The boat trip lasts just 1 hour. 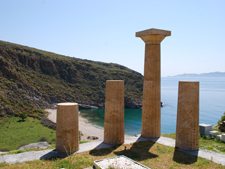 Kea has also ferry links with the ports of Kythnos and Syros. The island, has the shape of a “droplet”, a total surface of 131 sq. 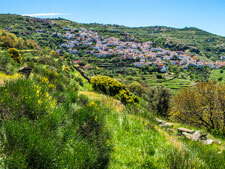 Km., and a perimeter coast of 85 km., and it is the 6th in size Cycladic island, with about 2.500 residents. 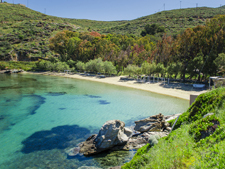 The short distance from Athens, makes it easily approachable throughout the year, for many Athenians and aspirant travelers in general, looking for two-day trips or long vacations. It is also a favorite destination for sailing boats, seeking for a calm and picturesque port for calm weekends. 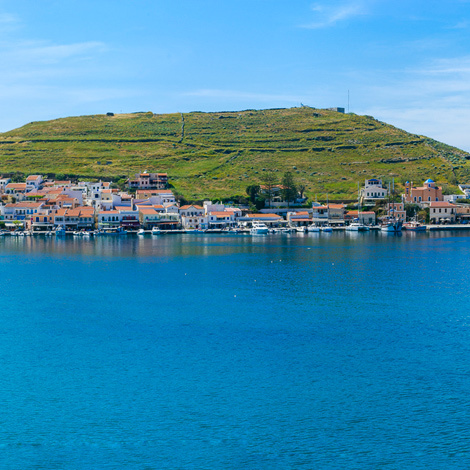 Kea is linked by ferry with the ports of Lavrio, Kythnos and Syros. There are daily routes between Lavrio and Kea. Check out this year’s routes schedule here. You take Suburban Railway (Proastiakos) and stop in Koropi. From there you take the bus to Lavrio and in about 40 minutes you are in the port. From Athens International Airport Eleftherios Venizelos you take the bus that goes to Lavrio via Markopoulo. You reach through the green metro line Victoria Station and at a 100 m. walking distance, you find the Bus Terminal in Pedion tou Areos. Buses to Lavrio leave every 30’. As soon as you are out of the port, you ‘ll find buses and taxis that will bring you t your final destination. You are going to use the same means of transport for your transportation across the island, in case you don’t have a car. You may also rent a vehicle at the port. 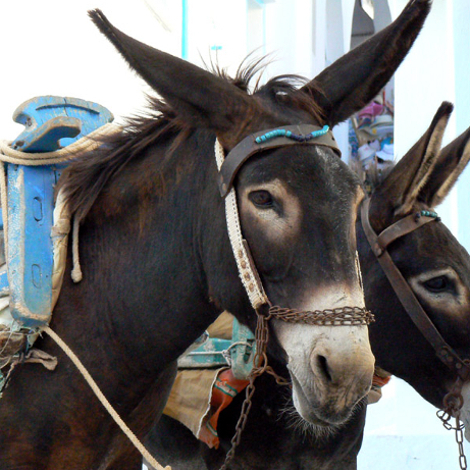 For more traditional types, there is the possibility of a tour or special delivery via mules and donkeys, a special way to tour around Ioulis and the paths of Kato Meria towards Karthaia. As for the tour in the path, keep in mind that you must have a good physical condition due to the difficulty of ascending and descending. Moreover, for special or urgent transportation, you may use the water taxis, also for the route Kea-Lavrio. The water-taxis may carry from 4 to 8 persons.